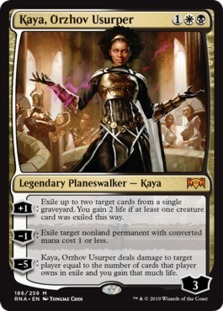 Hello and welcome to The Wolf's Guide to Ravnica Allegiance Limited. 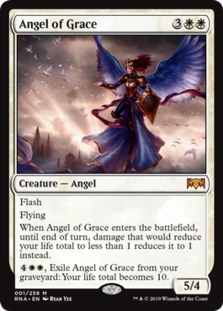 In this article, I will give you an early, comprehensive look at what to expect when drafting or playing sealed deck with the new set. We'll look at what are the best cards, what cards to look out for from your opponents, and what the colour pairs are looking to do. 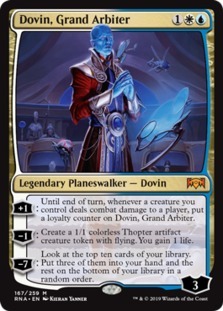 We'll even take a look at what cards you should look out for if you like to draft for value by taking expensive cards. Let's begin by having a look at the bomb cards of the format. These cards are the best of the best; they will often win you games on their own unless your opponent can deal with them quickly; if you are ahead in the game, they will often insure you win, and if you are behind, they can turn defeat into victory. They are the cards that you hope to open; in draft, you should almost never pass them, and in sealed deck, you should always try to play them in your deck if possible. In most cases, these cards are rare or mythic rare. 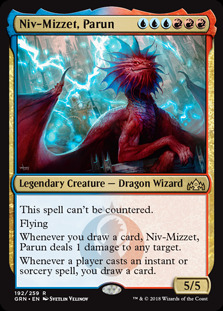 Examples of bomb cards from recent sets include Niv-Mizzet, Parun , Lyra Dawnbringer , Multani, Yavimaya's Avatar , and Tetzimoc, Primal Death . Removal spells are king in limited. Having a removal spell for your opponents bomb creatures will go a long way to helping you not lose the game. However, not all removal is good - some is just not worth it in a lot of cases. 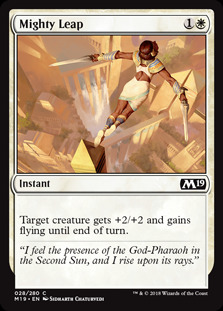 Therefore, I split removal into Good and Average. Good removal is often either cheap or deals with anything. 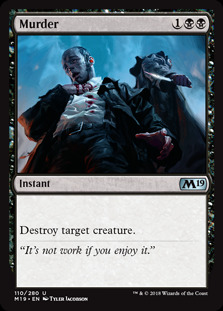 In almost all cases, good removal trades up on mana; in other words, you can kill something worth more mana than your removal spell. 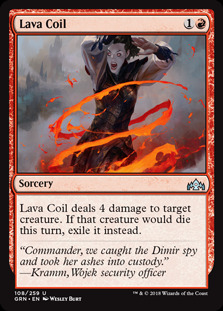 Examples of good removal from recent sets include Lava Coil , Murder and Fight with Fire . Average removal is usually inefficient or very expensive, and sometimes situational. 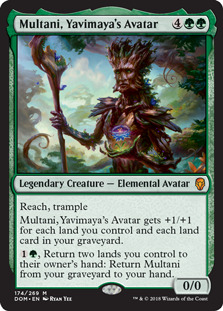 While there is still a place for it in some Limited decks, it's often not a card you want to highly pick. 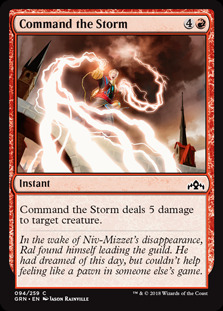 Examples of average removal from recent sets include Command the Storm , Strangling Spores and Deep Freeze . Evasion abilities on creatures is very important in Limited matches. Often, having one or two flyers beating down on your opponent while ground creatures sit and look at each other will win you games. There are many different forms of evasion: flying and unblockable are the best, but menace and trample can also be considered forms of evasion. However, for our purposes here, we are only interested in flying and unblockable creatures. 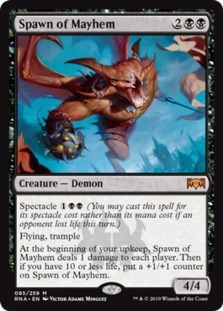 This section will also list the creatures with reach in the set; these creatures are important, especially if you have no flyers of your own. 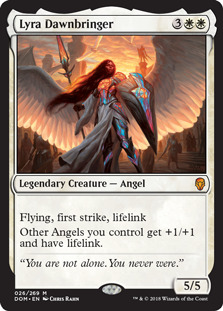 Having a reach creature can prevent you from straight up losing to your opponents flyers. Not every deck wants to include combat tricks, but it is important to know what is in the set in case your opponents have them. At a minimum, you should try to memorize most of the common ones. 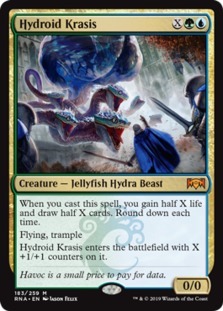 Combat tricks are cards that can be played at instant speed; either instants themselves that affect the combat in some way (such as increasing the power and toughness of a creature), or cards with flash that either do the same thing or are creatures. 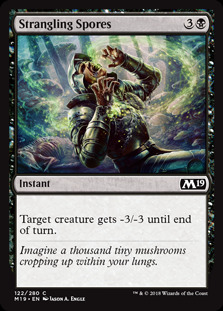 Examples of combat tricks from recent sets include Might of the Masses , Mighty Leap and Fungal Infection . 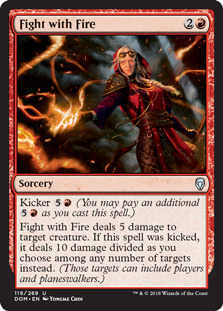 Note that, most good combat tricks are cheap, usually costing one or two mana at most. Knowing what each colour pair is trying to do in a given format can help you draft decks that work towards that goal. 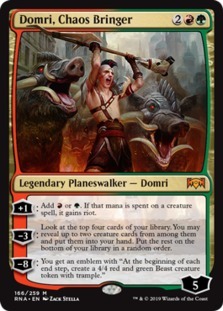 For example, in Guilds of Ravnica, Boros (red/white) was a colour pair that wanted to be as aggressive as possible, playing lots of cheaper creatures and attacking. 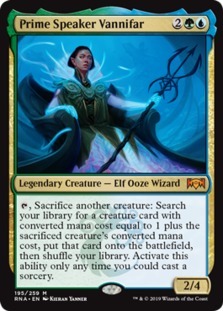 In Core Set 2019, blue/red was all about spells; it played a lower creature count than normal but wanted gained benefits from its creatures for every instant or sorcery you cast. 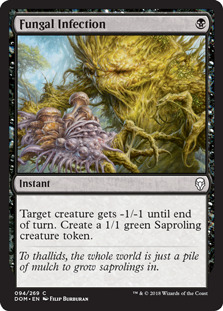 And in Dominaria, black/green was all about Saprolings and finding synergies with them. I hope you found this article helpful. Enjoy your pre-releases!